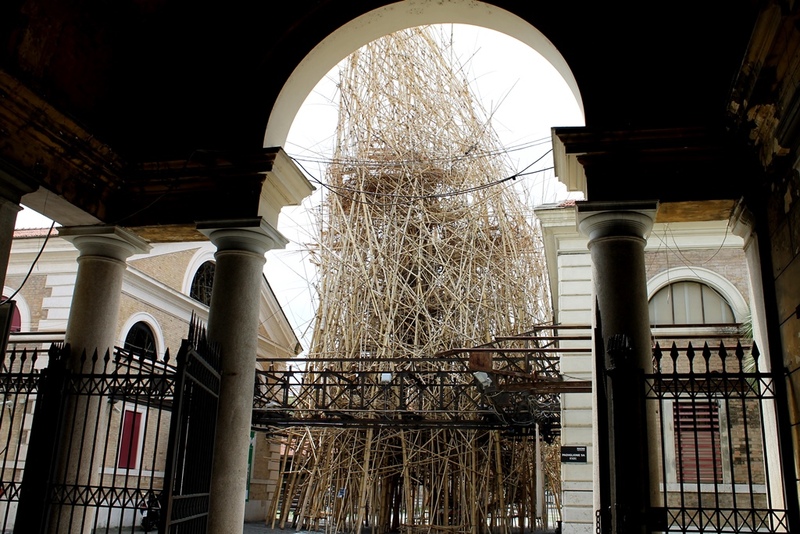 Big Bamboo, the huge work by U.S. artists Mike and Doug Starn, has welcomed teachers and students taking part in the 12th edition of L’Humor Bizzarro, dedicated to the memory of Nora Frontali Toschi, deceased on last June 9, a founding member and steady supporter of the Associazione il Teatro della Memoria. After starting on July 28, the courses have unfolded at an intence pace under the guide of internationally active artists: Angela Bucci (Renaissance and Baroque singing), Ninad Massimo Carrano (Percussion), Claudia Celi (Danze nel Giardino d’Amore – Court dances between 15th and 16th Century), Paolo Di Segni (Tout le monde en place – Social Dances of the 19th Century), Federico Marincola (Ensemble Music Workshop), Mauro Morini (Sackbut and Baroque Trombone) Angela Paletta (Baroque Oboe), Marco Rosa Salva (Recorder), Ilaria Sainato (Recueil de Dances et Contredances – European 17th and 18th Century dances), Antonella Moles and Paolo Tagliapietra (Cembalo accompanists). On the evening of Saturday August 3 agosto the work carried out in the singing, instrument and dance classes will be presented in spectacular form. Following a consolidated practice, during the performance students and teachers will interact side by side. 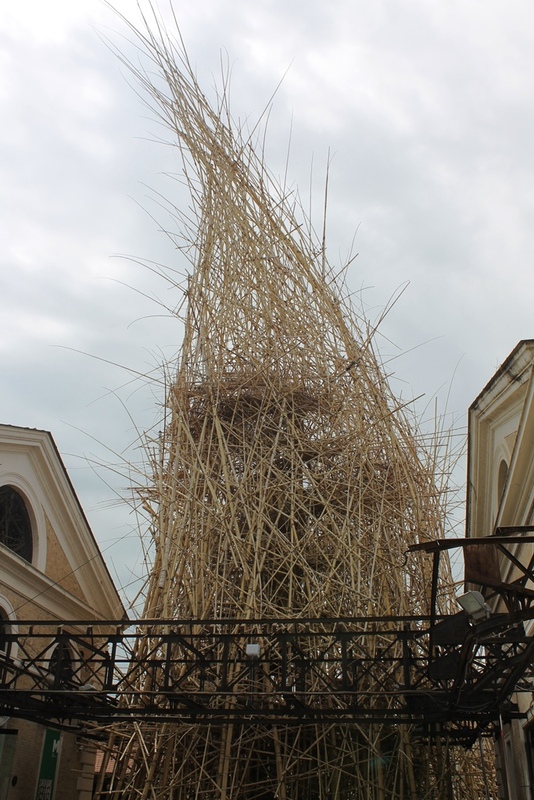 The events will be hosted by the Sala della Mangiatoia (Testaccio Ex-Slaughterhouse – p.za Giustiniani 4/a). Two shows have been scheduled, the first at 7.00PM and the second at 8.45PM, both at free entrance with advance booking. It’s possible to book by phoning to the mobile number +39-320-0557319 before 4.00PM of the performance day.